“Lost Boy Found in Whole Foods,” by Tammy Ryan, at Portland Stage, 25 Forest Ave., Portland. $37-$47, discounts for seniors, students, groups. www.portlandstage.org or 774-0465. “Honk Jr.,” based on Hans Christian Anderson’s “Ugly Duckling,” presented by Windham Center Stage Theater, Windham Town Hall, 7 p.m. Fridays and Saturdays, 2 p.m. Sundays. $8-$10. www.windhamtheater.org or 893-2098. “The Secret Garden,” musical presented by Lyric Music Theater, 176 Sawyer St., South Portland. March 10 Senior Preview Night, 7:30 p.m. Other shows 8 p.m. Friday and Saturday, 2:30 p.m. Sunday. $17.99-$21.99. www.lyricmusictheater.org or 799-1421. Westbrook author Brendan Rielly, reads from his new novel, “An Unbeaten Man,” 6 p.m., Walker Memorial Library, Westbrook. Westbrook author Brenda Buchanan, readd from “Truth Beat,” the third in her Joe Gale mystery series, 6:30 p.m., Walker Memorial Library, Westbrook. “Wonder, an Interdisciplinary Exhibition,” at UNE Portland Campus Art Gallery, 716 Stevens Ave. Gallery open Wednesday, Friday, Saturday and Sunday 1-4 p.m., Thursday 1-7 p.m., and by appointment. www.une.edu/artgallery, azill@une.edu or 221-4499. 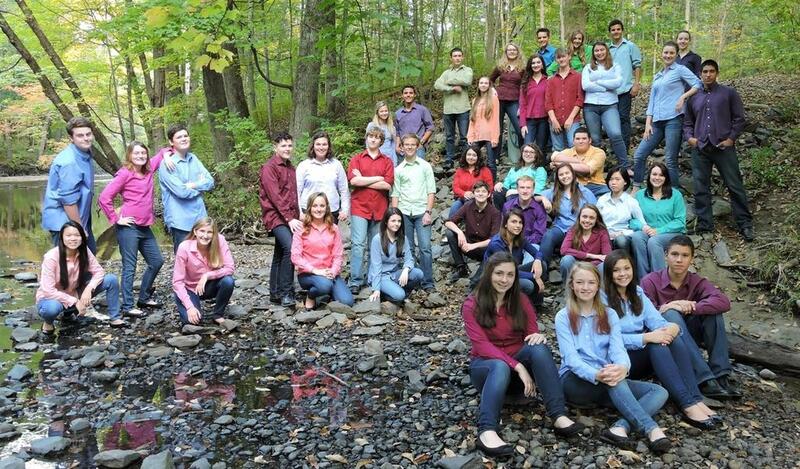 The Windham Chamber Singers, made up of Windham High School students, are performing in Windham on March 26 prior to launching a New York City tour.